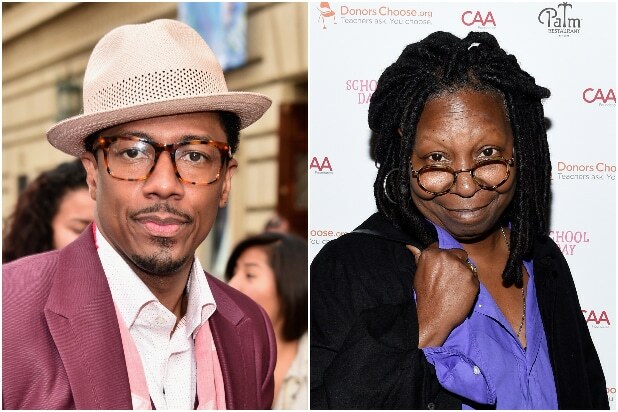 Nick Cannon and Whoopi Goldberg will star in the animated feature film “Pierre the Pigeon-Hawk,” which will be directed by Exodus Film Group’s John D. Eraklis. Exodus and Nick Cannon’s Ncredible Entertainment banner are teaming up to produce the full-length animated feature. Cannon will voice the lead character while also overseeing the music and producing alongside executive producer Michael Goldman. Jennifer Coolidge and Kenan Thompson will also star. The film is being produced and financed by Ciaran Crampton and Chase Muratore of New York City-based Sugar Water Entertainment. “Pierre the Pigeon-Hawk” is set in New York City and follows Pierre, who is a product of love between a hawk and a pigeon, so he’s rejected by both communities. He sets out on a mission to find where he belongs, and finds unlikely friendships on his way. “It’s always such a pleasure working with friends and combining forces with industry veterans to create fun content for all ages,” Cannon said. Cannon currently hosts and executive produces Fox’s “The Masked Singer” and his other credits include “30 Rock,” “Chappelle’s Show” and NBC’s “America’s Got Talent.” HIs film credits include Spike Lee’s “Chi-Raq” and “Men in Black II.” He is represented by CAA, Michael Goldman and Del, Shaw, Moonves, Tanaka, Finkelstein & Lezcanowill. Goldberg’s most recent credits include “Nobody’s Fool” and “9/11. She currently serves as co-host of “The View.” She is represented by WME.